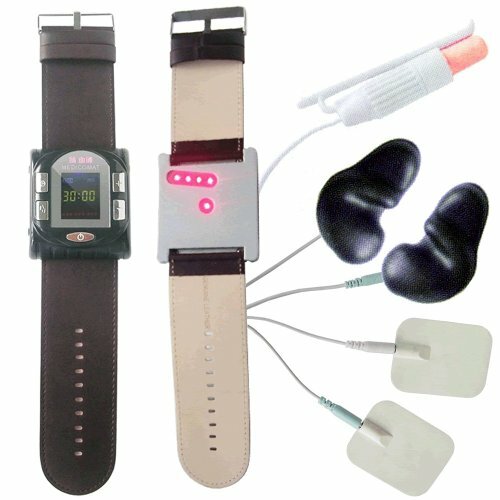 Smart Health Watch * Fully Automatic Treatment at Home * Medicomat ear acupuncture provides a fully automatic treatment for the whole body, complemented by the effects of body acupuncture massage + Nasal and Wrist Laser irradiation therapy. Free Shipping Worldwide by EMS (Express Mail Service) to 55 countries, and the other is Airmail. Delivery of this item is carried out from Europe. View More In Arm & Wristband Accessories. If you have any questions about this product by Medicomat, contact us by completing and submitting the form below. If you are looking for a specif part number, please include it with your message.